Assembly-Jobs.com makes no representation that the materials contained in the site are appropriate or authorized for use in all countries, states, provinces or any other jurisdictions. If you choose to access this site, you do so on your own initiative and risk and are responsible for compliance with all applicable laws. Assembly-Jobs.com regards all personal information collected from its visitors and subscribers as completely confidential. This includes personal data provided during registration, answer to surveys or subscription process. 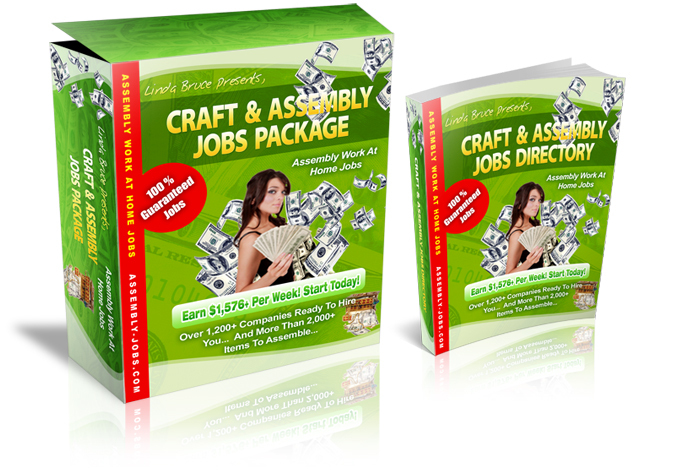 Assembly-Jobs.com may use these information solely for internal purposes and will not sell, loan or share these information with any third party for whatever purpose. In order to most efficiently serve you, established third party banking, processing agents and distribution institutions handle credit card transactions and order fulfillment. They receive the information needed to verify and authorize your credit card or other payment information and to process and ship your order. All Plimus.com or Regsoft.net transactions occurs over a secure connection. Assembly-Jobs.com does not knowingly collect or solicit Personally Identifiable Information from or about children under 13 except as permitted by law. If we discover we have received any information from a child under 13 in violation of this policy, we will delete that information immediately. If you believe Assembly-Jobs.com Index has any information from or about anyone under 13, please contact us at the address listed below. Check out the FTC's site http://www.ftc.gov/bcp/conline/edcams/kidzprivacy/index.html for more tips on protecting children's privacy online. This agreement is effective until terminated by the Assembly-Jobs.com for any reason, with or without notice. Upon any termination of this agreement, you will immediately discontinue your use and access of the site and destroy all materials obtained from it.